Joyetech eGo AIO ECO Kit is the latest All-in-one e-cigarette kit with ECO technology, it features that 0.5ohm BFHN coil is recommended use high nicotine e-juice. eGo AIO ECO can provide you ideal vaping experience. Joyetech eGo AIO ECO Kit is the latest All-in-one e-cigarette kit with ECO technology, which comes with a 1.2ml tank which integrated a 7-color illuminated LED and 650mah built-in battery. It features 0.5ohm BFHN coil that is recommended use high nicotine e-juice. 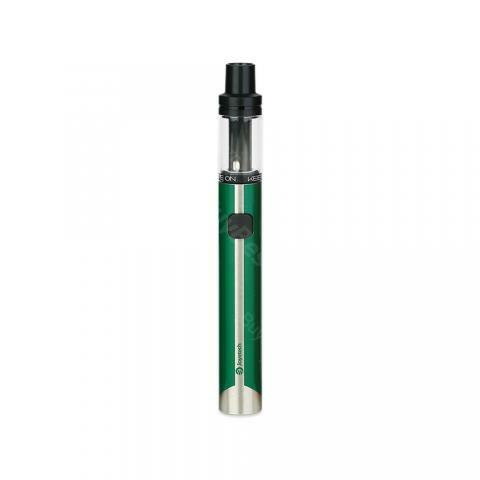 This eGo EGO AIO is very compact and easy to use, that is not only for new vapor starters but also for those who are looking for a lightweight and portable device. It can provide you ideal vaping experience, just add this item for your vaping device family. • No e-juice. Suggested to use high nicotine e-liquid or high nicotine salt e-juice. • Note: The capacity of battery is capable for about 350 puffs per charge, and the e-juice capacity of tank is capable of using approx 150 puffs. • Quick link: Joyetech eGo AIO ECO Replacement Coil, Joyetech Original Glass Tube, Other Brand Glass Tube. Видимо, такое решение обусловлено довольно большим разнообразием форм-факторов у этого конкретного производителя. А может быть, так сказать, эдакое возвращение к корням. Размеры, естественно, небольшие, однако в ладони вы «такое» спрятать не сможете. See more review on Joyetech eGo AIO ECO Starter Kit. Nabbed this on a whim as another salt device and it’s replaced every pod system I own. Coils produce great flavor and vapor and battery life is impressive. Worth every penny!